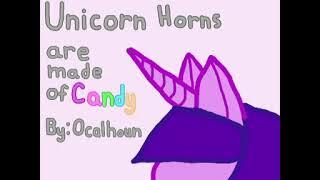 New audio reading of Unicorn Horns Are Made Of Candy, read by Kanjigirl! I was so happy when I listened to this, I can't even begin to describe. Please take a listen. Griffin Productions does a very good job acting as Twilight and portraying her sadness, confusion and her feeling of being very, very lost. Hey one and all. My most recent horror story, Horror at Dusk, has just been turned into an audio drama with a fully voiced cast by the talented Sparrow9642. Kind of a weird question but, I feel it would awesome to have someone actually verbally read my work. 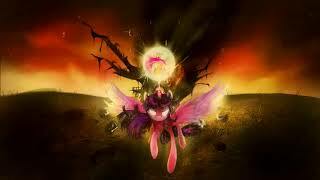 A few days ago, GutiuSerenade, sent me an audio reading of Alicorn's Feather. I have to say that GutiuSerenade done really well, going beyond than just a simple reading. A ton of work and assets had been put together. He gathered several people to voice the different characters, added music and sound effects, and even got a cover art to go along with the video. My very first story reading! Which you can listen to below. All credit goes to ScarlettBlade. I'm a bit surprised with myself that I didn't do this earlier. Anyway, I've recently gotten one of the biggest compliments an author can get. For you see, AlchemyStudent has done an audio reading on my story "Always The Quiet Ones"! And I must say, I think he's done an exceptional job on it. True, there were a few flubs and stutters in points, but overall, he did good. Oh, this is so awesome! Go listen she needs more subs! 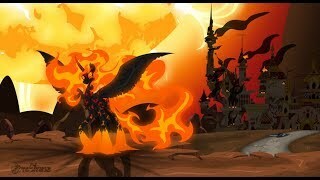 If anyone is interested, AShadowofCygnus has done a lovely audio reading of To Rekindle the Sun. Also I'm planning a sequel. 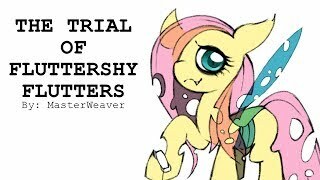 My friend Dreams of Ponies did an audio reading of my story, "They're Gone." I highly suggest you check it out! And here's his profile, if you want to check him out. I did a full six-and-a-half hour audio reading of fellow writer Chinchillax's wonderful philosophical novel Reincarnation or Immortality. It's one of the deepest and most mindblowing books I've ever read, and I really wanted to get it out there. It looks like my audio reading for Painless made it to EQD! I'm glad it made it, although it doesn't look like anybody who found my video from there has commented on the video yet, so I still don't know if strangers are actually enjoying the work, but I hope people find it satisfactory. At the very least, the mods did, I guess. I proudly offer you all a reading of 's mysterious horror darkfic Hope! I present you all a reading, requested by the author, of Wrong Place, Wrong Time by , a fan-made sequel/prequel to The Unfortunate Stabbing of Nurse Redheart. 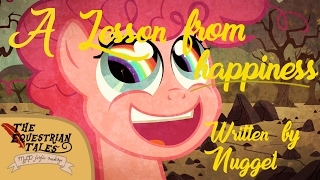 The audio reading for Twilight's Sleepless Nights has been consolidated into one long reading of the full story, plus some bloopers at the end.